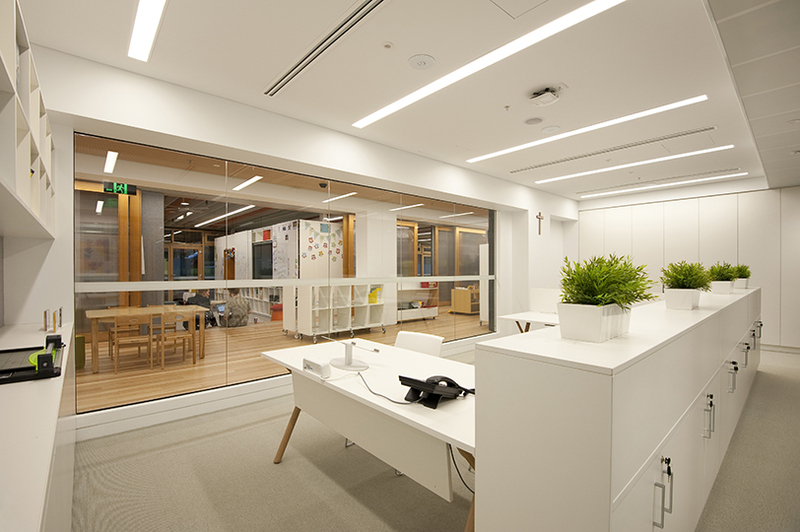 Grindley Interiors was engaged by the Sydney Catholic Schools to complete a ground floor strip out and a refit of an existing Telstra training office in North Strathfield, Sydney, to create a new teaching space for the Our Lady Of Assumption Catholic Primary School. 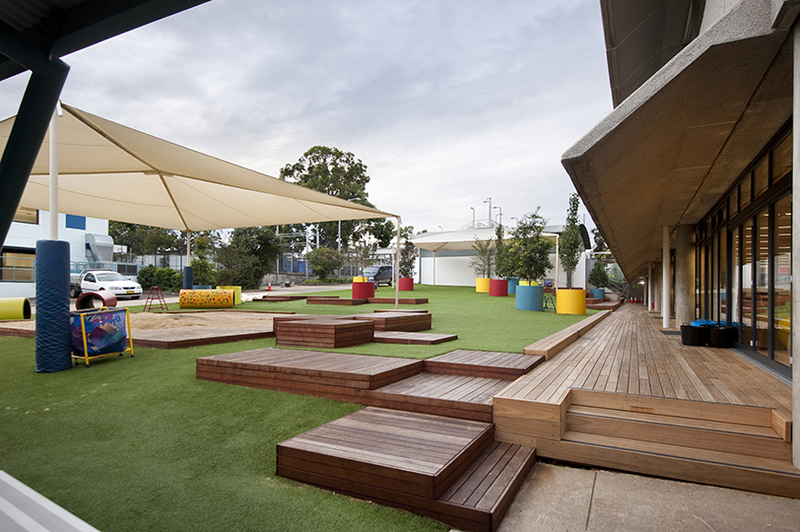 The construction of the new teaching space consisted of a full strip back to concrete slab, walls and ceilings, new fire, electrical, hydraulic and mechanical services. 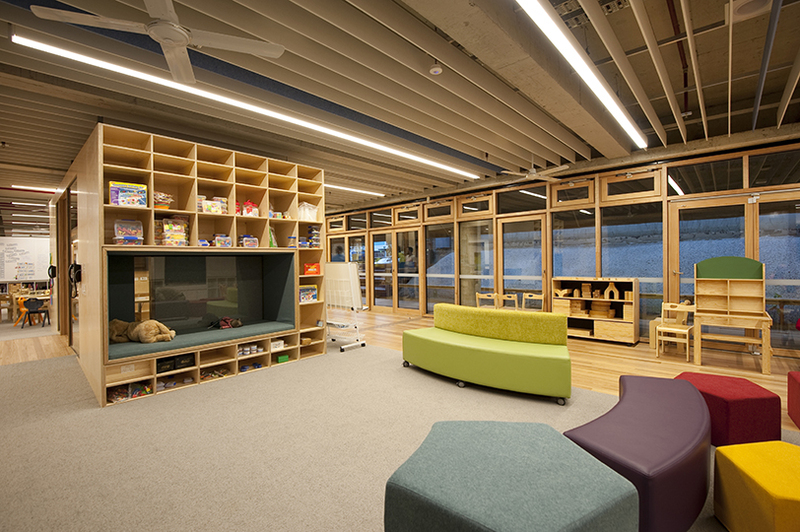 The project posed many site challenges, including keeping existing services running to the occupied second floor of this building. The team had to isolate services for the ground floor only whilst mitigating any common service shut downs to other levels of the building. 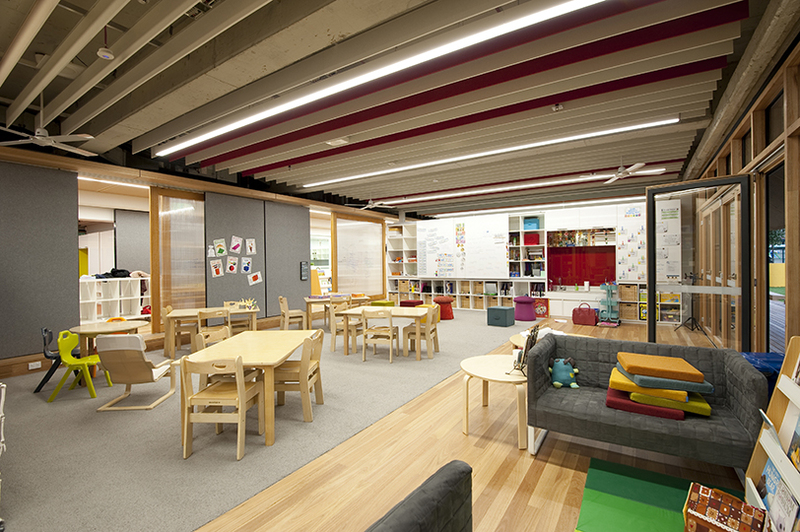 The fitout included staff offices and meeting rooms, three main classrooms and two withdrawal spaces for one on one learning. 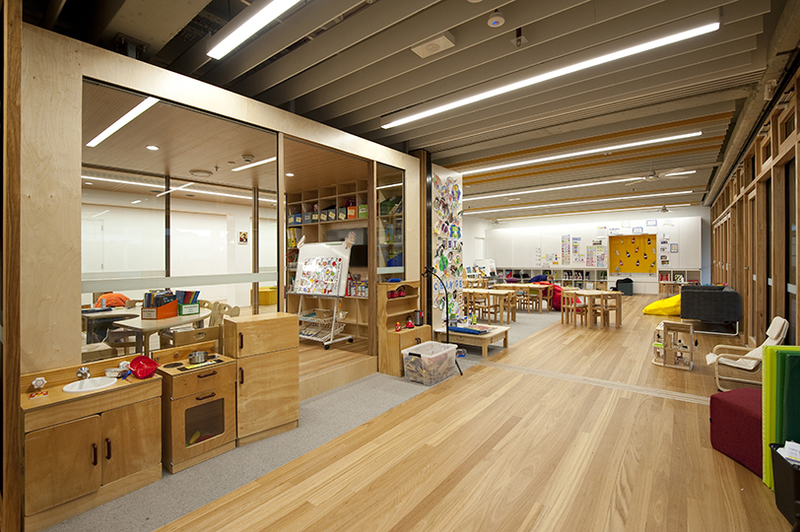 The design was tailored for children from Kindergarten to year two. 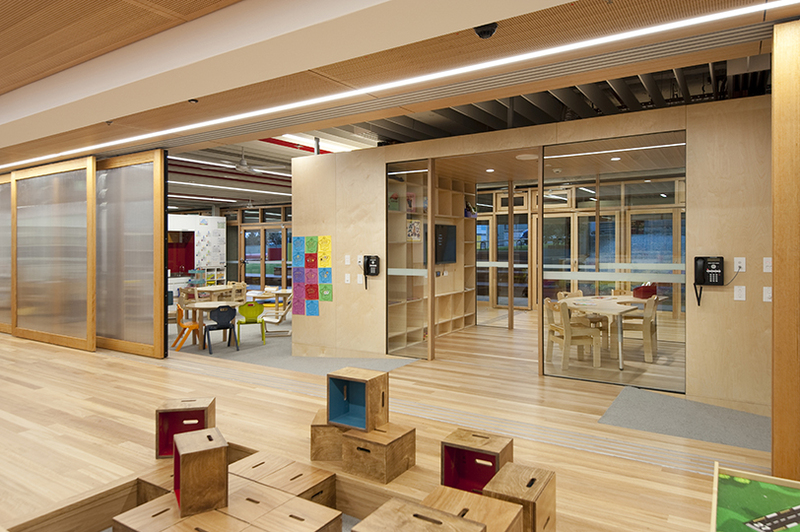 The classrooms were designed with sliding pinboard and glass doors so as to open or close these spaces depending on the learning environment. 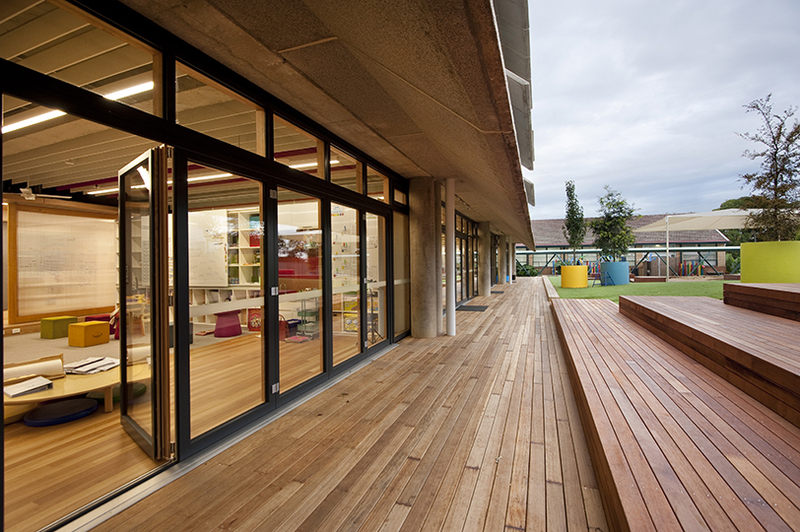 The staff and student spaces are separated by a raised timber floor corridor. 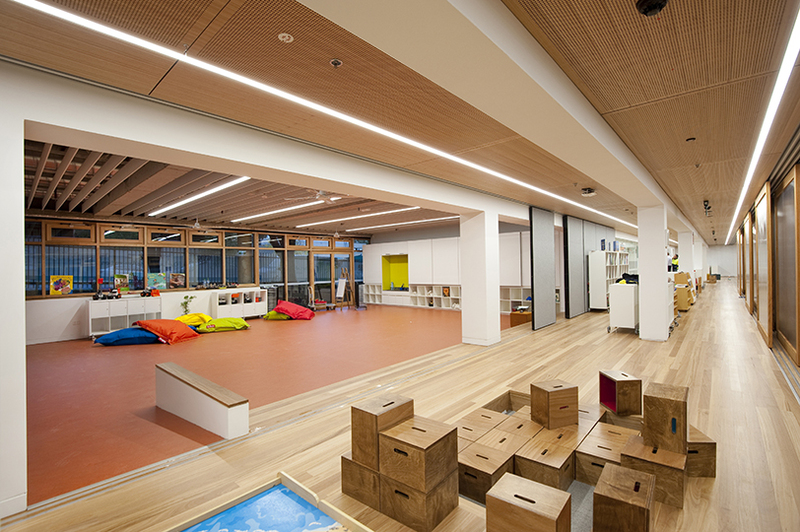 This presented a challenging element as the flooring ran straight through the centre of the site so all services, steel and joinery works that branched off this corridor had to be perfect. 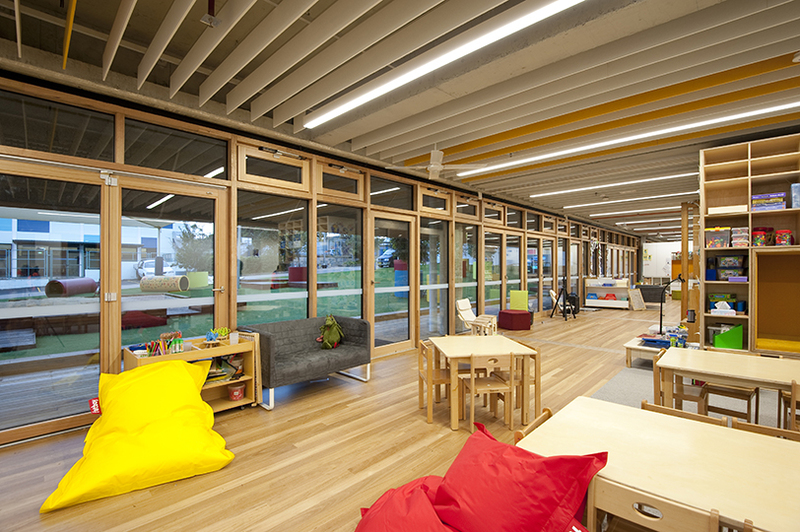 There was a consistent theme of timber used throughout this project, as well as the aluminium framed façade that had a timber internal frame finish. 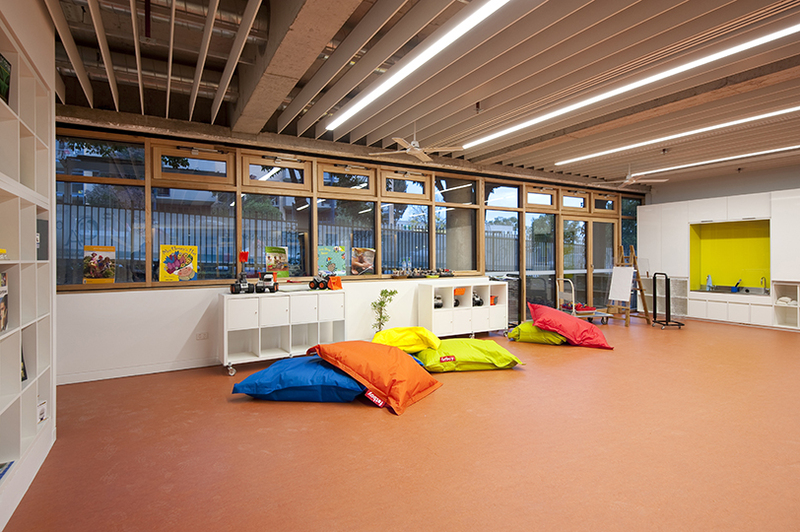 This façade was manufactured in Germany and fitted onsite, complete with louvered windows and bi-fold doors. 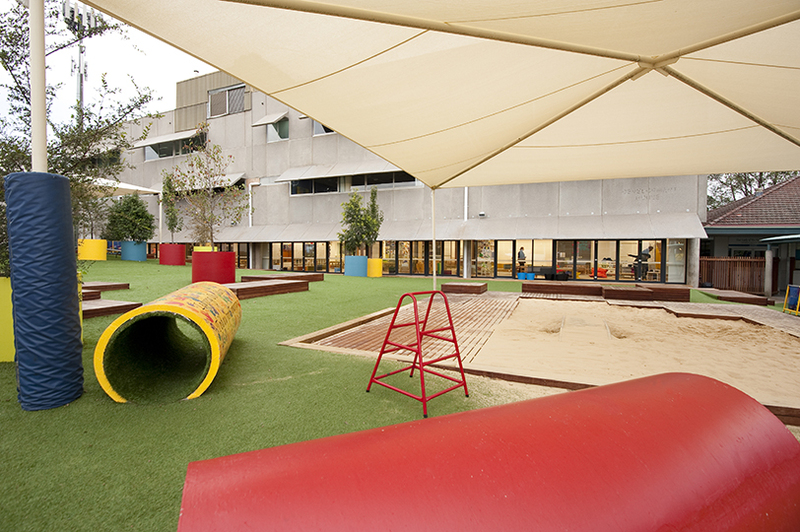 Grindley also completed a small temporary playground for the students. 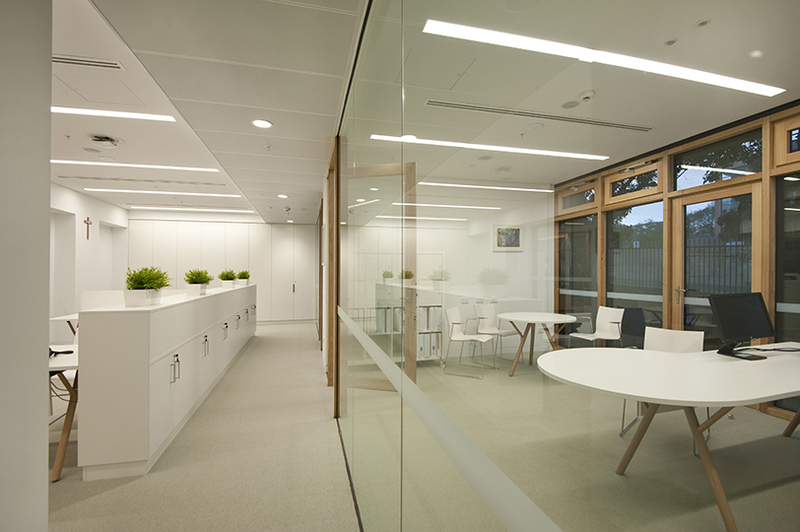 "To the builders Grindley Interiors, and in particular to Andrew Sanderson, Angela Wills and Paul Caristo. 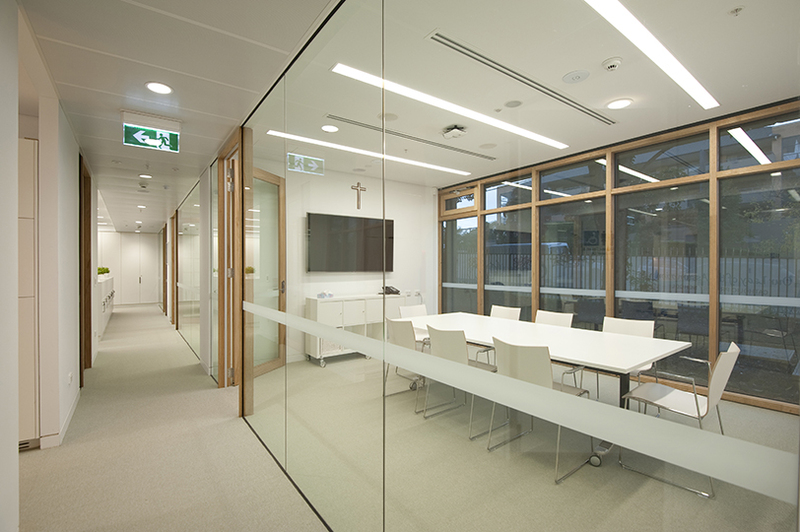 Working with an existing building, these builders also had a most challenging brief, with difficult deadlines coupled with a Principal who on occasions must have felt like a stone in their shoes. So often they were asked to engage in work that required high degrees of careful analysis and problem solving. Thank you for your craftsmanship, persistence and for the quality of the work clearly evident here."